So if you follow me on social media you’ll have seen a few of my pics of New York where my partner and I had a fun mini break during March. I thought I’d give a little rundown of the stitchy highlights in case you were interested! So the day my issue went to the printers I fled the office and whizzed down to London. In publishing this is generally the best time to take a holiday. 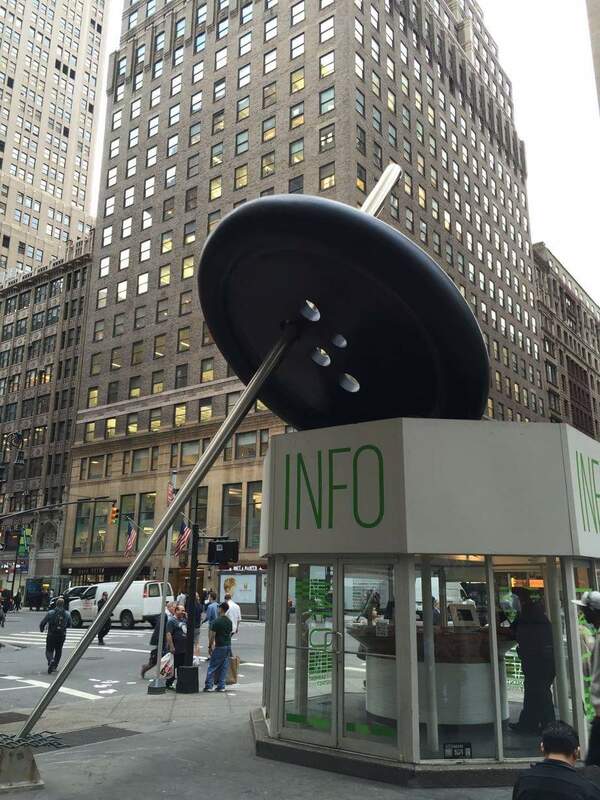 This was my second visit to New York but my first since taking up sewing. We flew from Heathrow and landed in NYC Thursday lunchtime. It was fantastic weather! Totally unseasonal, it was 24° so I got changed into a dress and strolled around Central Park in the sun. We stayed in the Empire Hotel (yes the Chuck Bass hotel) which was only a short walk from the park. 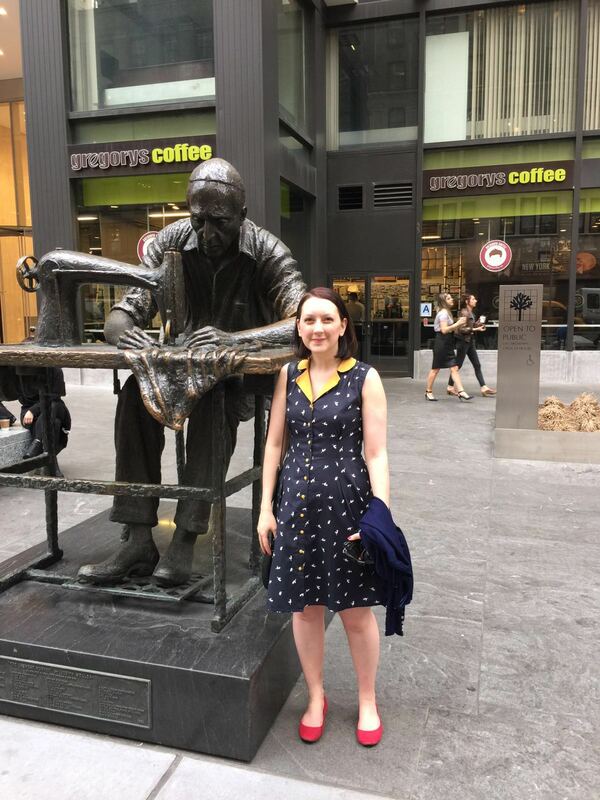 And a quick stroll up to the statue of the garment worker and also button and needle statue. Friday was a special day because I got to visit the McCall’s head office and have a tour. The team was wonderful and explained how they work which had quite a few similarities to my office though on a bigger scale. I’m going to run a piece on the team in the magazine soon. 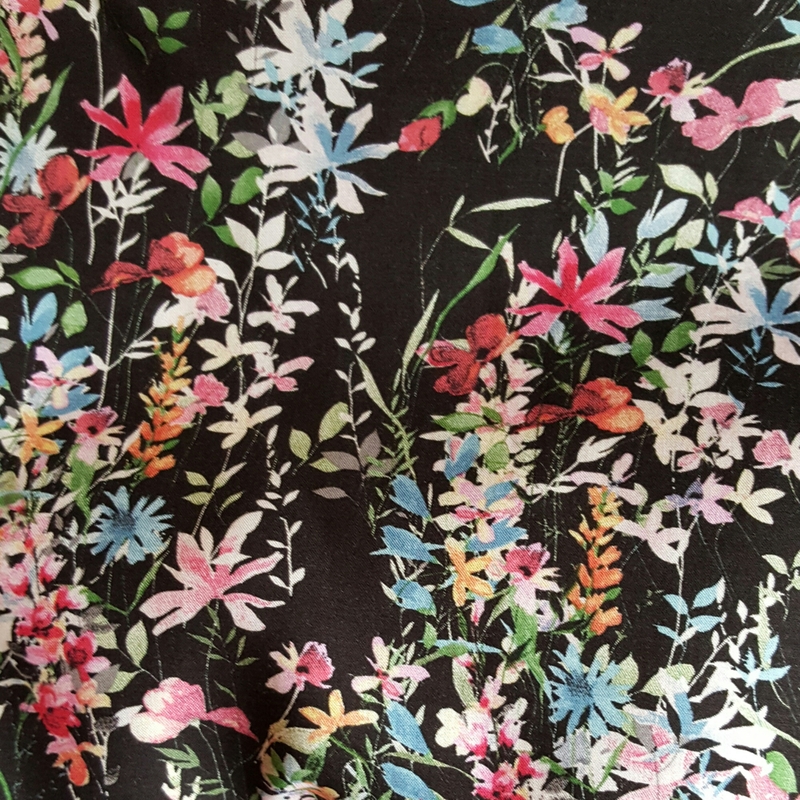 I wore my Liberty wildflowers Vogue 1102 dress in honour of the day. The office is decorated with wonderful illustrations and sewing ephemera and mannequins of all sizes fill the corners. Obviously I can’t reveal too much as I was able to see some upcoming collections that need to stay secret for the time being. But seeing pattern draping in action was a thrill. After that we went to the World Trade Centre and memorial which was incredible moving and emotional. Plus we walked over the Brooklyn Bridge just before sunset. 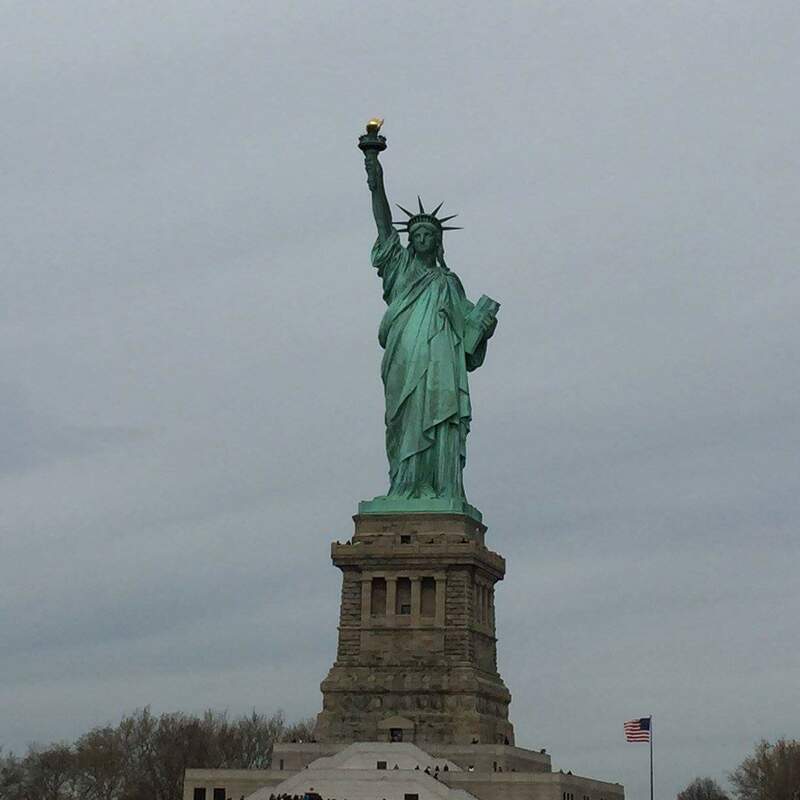 Saturday and Sunday involved lot more touristy trips using our City Passes to hit every major landmark/museum/gallery. Plus we got to see Mathilde on Broadway which was fantastic! I was so excited about Monday I barely slept. This was the day I met up with Karen, Sonja, Charlotte and Emma Jayne! Plus Peter joined us for a little bit too which was fantastic. The only bad thing was the rain! 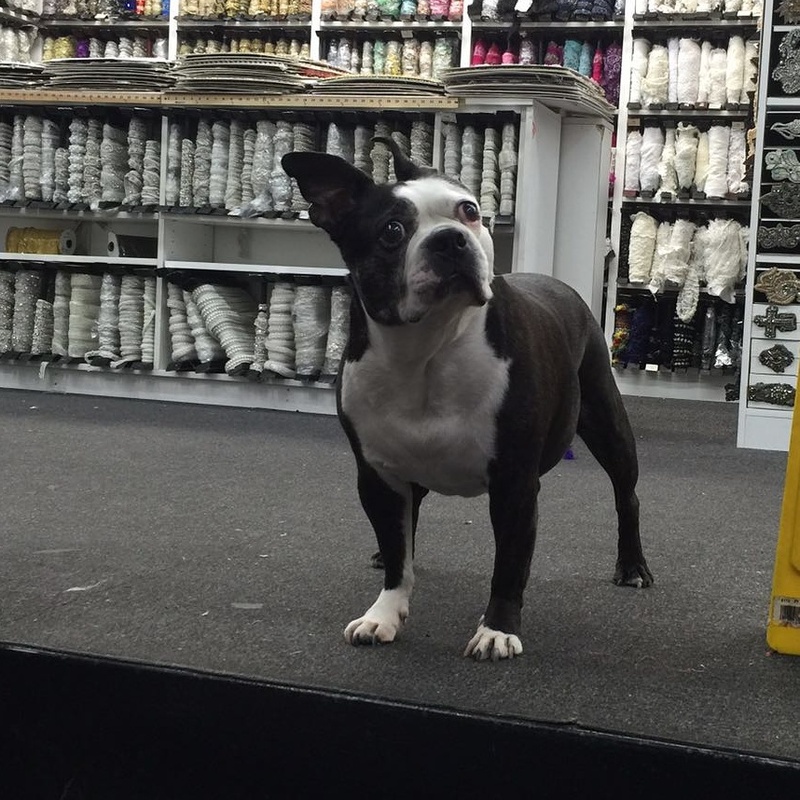 We headed to the garment district visiting Mood fabrics first. Its pretty overwhelming as bolts are stacked so high you have to either know what you’re after or rummage. Swatch is uber adorable though! 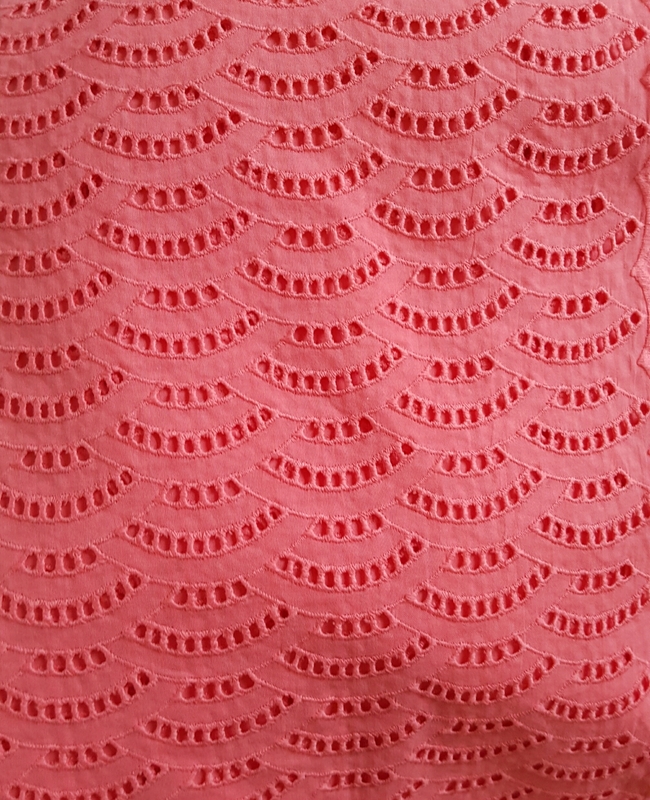 In a bid to avoid panicking I decided to look for cotton eyelet as it’s so rare in the UK. And once I’d picked some out I looked over the scuba. I bought two lengths, enough for dresses and stopped there. 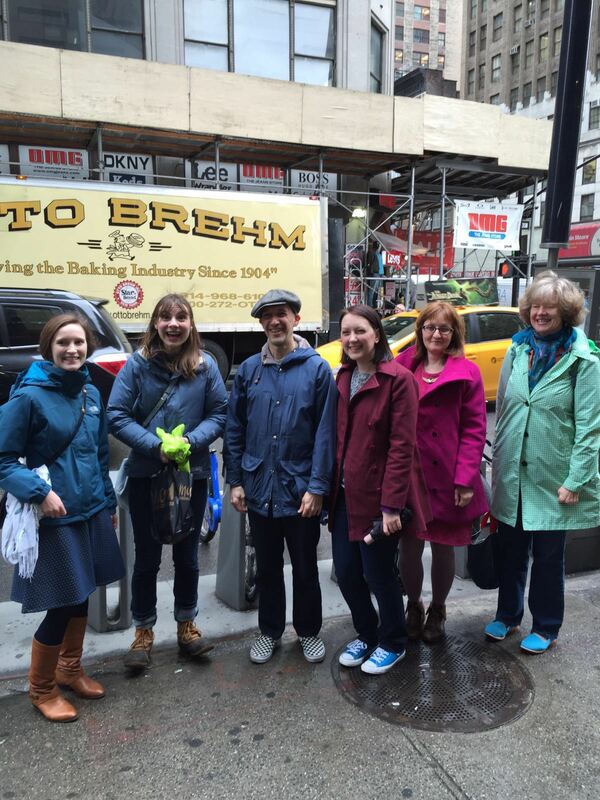 After that we braved Elliott Berman and were again overwhelmed with choice. Technically they sell wholesale but they don’t mind selling small lengths in the shop. 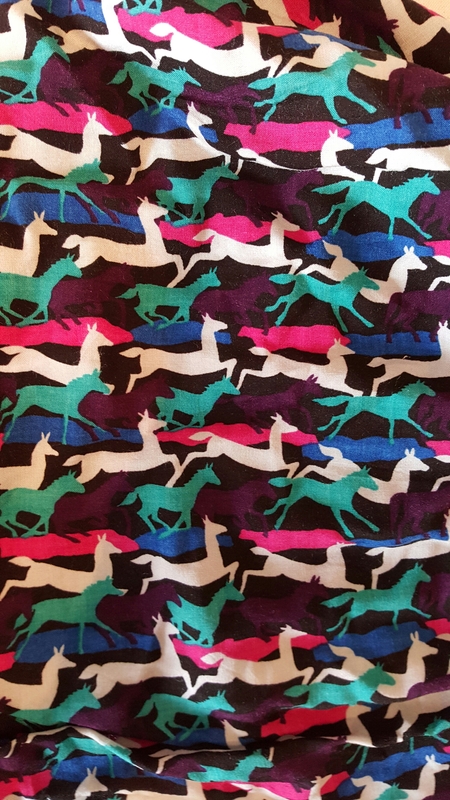 I chose some silly galloping horses/llamas on viscose (Karen bought the same print in a different colourway on jersey). 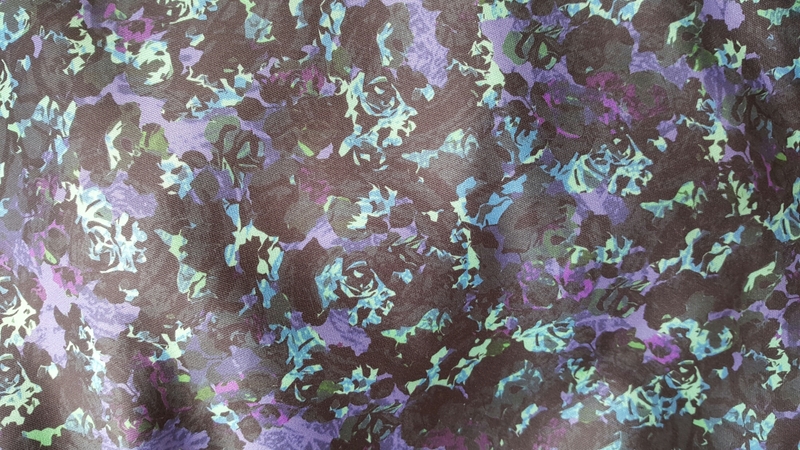 Plus some viscose challis from France in a stunning floral design. Its so light and cool to the touch. I’m in love. Surprisingly this took a lot of time and we called it a day at that! Charlotte and I picked up our other halves and the four of us had an awesome pizza lunch then headed out to the ice hockey as a group later that night! It was a pretty epic game in fact and we all got free bobbleheads to bring home hahah. Tuesday was our last day and we tried to fit in the final touristy bits including present shopping and one last dash into Mood. 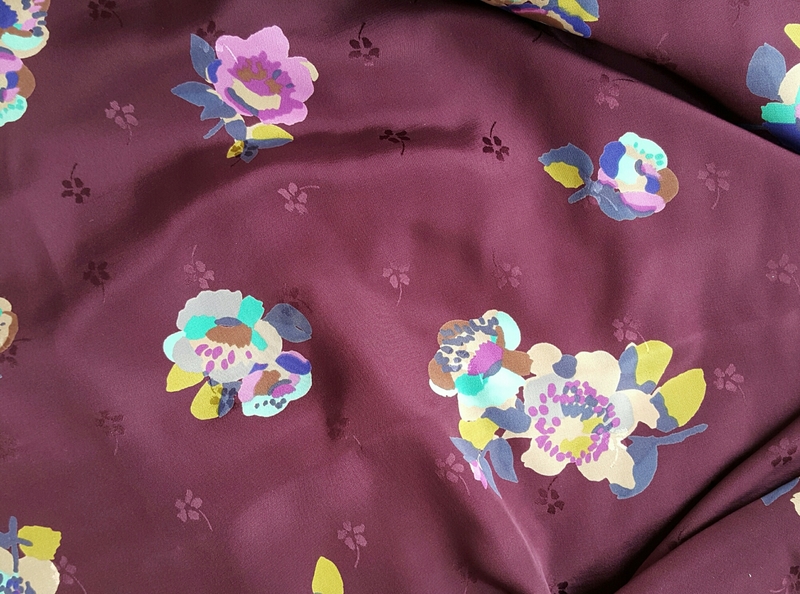 I picked this silk that is so pretty in person. It has embroidered small blooms as well as the large watercolour flowers. It was labelled “famous designer silk”. That’s a bit weird when they name everyone else but hey whatever. So there you go! They were my sewing related highlights. 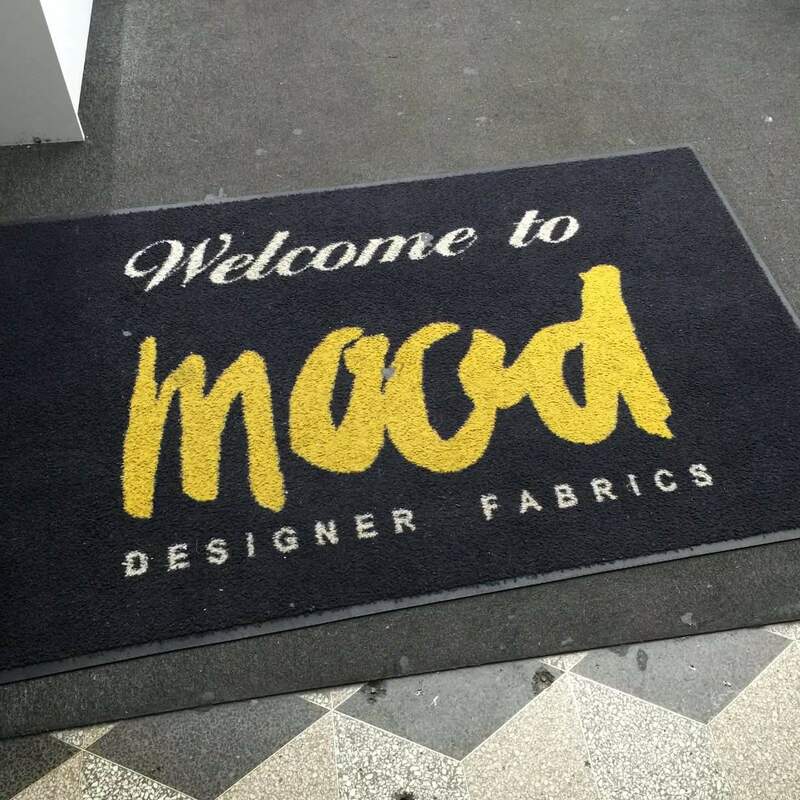 Sorry I don’t have a super specific garment district guide for you, I just really wanted to go to Mood having seen it so many times on Project Runway hehehe. It was really great to hang out with such lovely people and even better that all my purchases fit in my suitcase home! Sounds like you had a wicked time Amy…you forgot photos of bobblehead tho, ha ha!! Great to spend some holiday time fabric shopping with you. Hope you’re indulging in some Easter sewing. Great rundown, what a fab time you’ve had and gorgeous fabrics to boot!!! Ooh it was great fun. I definitely recommend it!! So fun hanging out with you!!! Oh, and “famous designer” is usually used when the fabric is from a current collection and is still in stores. Guess it makes sense that some designers wouldn’t want it to be so easy to knock off something they’re trying to sell! It was so lovely to meet you in person! You were just as nice as I expected.